In this area, larvae feed chiefly on kangaroo grass (Themeda triandra – kangaroo grass). Larvae 27 mm long body pale green with 1 or 2 pale stripes, head brown. 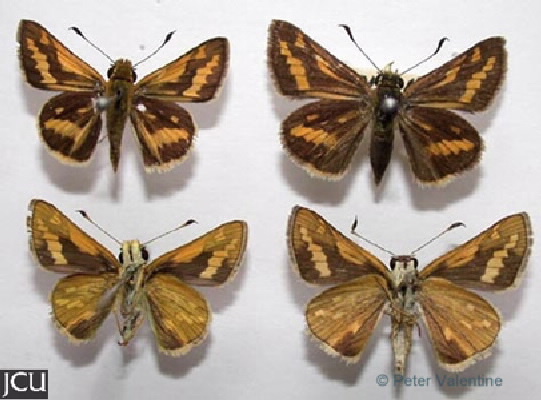 Adults brown with orange markings often forming bands towards the outer edges of the wings.